Famous Fails! (ages 8-12, $12.99) – Perfect stocking stuffer! Discover Thomas Edison’s failed inventions, what the Slinky was actually supposed to be, if Michael Jordan really was cut from his high school basketball team and what in the world Smell-o-Vision is. Along with the many wacky and weird — and totally true — strikeouts, wrong turns, foul food and pop culture disasters Famous Fails! gives kids the scoop behind what went wrong, what went right and what can be learned from it. I laughed out loud at several of the failures (Apartment Baby Cages? Yikes), marveled at many of the accidental discoveries (Popsicles), and grimaced at the layout of food failures (McSpaghetti and WaffleTacos). All this and more are spread across the 128 pages. The author included her own nine mistakes purposely put in the book for you to search for (I found seven, but the answers were in the back for the other two). FAMOUS FAILS! would be a fun read for anyone, but the extras are what made my day. First off were the stories about human failure turning into success in the DOWN BUT NOT OUT feature. I learned how Thomas Edison, Albert Einstein, Bethany Hamilton, and J.K. Rowling used failure to propel them to greater things. The second addition, LESSON LEARNED, appeared throughout. Each had a few words for kids to learn from the various types of failure and apply it more positively in their own lives. The final chapter summarizes those lessons in a proactive way with Sports, School, and Public Speaking. Colorful, fun, and educational, you will not want to let your own copy out of your hands. It’s likely you won’t see it again. I speak from experience. Now for even better news… If you missed last Monday’s post, I’m celebrating the holidays with two gift giveaways. Comment on any or all of the four posts from December 5-11 and receive an entry each time. At 2 p.m. EST on Sunday, December 11th, I’ll draw two names. Keep these for yourself or use them as gifts for the special person in your life. Good luck to all who enter. 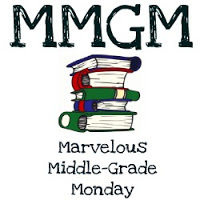 I’ll announce the winners tomorrow for Marvelous Middle Grade Mondays. This entry was posted in Giveaways, non fiction, Reviews and tagged Crispin Boyer, Famous Fails, Middle Grade Non-Fiction, National Geographic Kids. Bookmark the permalink. I would love to read about famous fails! Nonfiction books now are so much fun! Gosh, this one sounds like a lot of fun. I will definitely check it out. Thanks for telling me about it. I am too late for the giveaway- but definitely an exciting one! I love that this book is all about things that didn’t work. Sounds like there are some interesting tidbits between the covers.